This luxury estate home is one of the world's most coveted recreational destinations. In ancient folklore, a red cedar is the gateway to Akasha, the spiritual seat of higher realms. 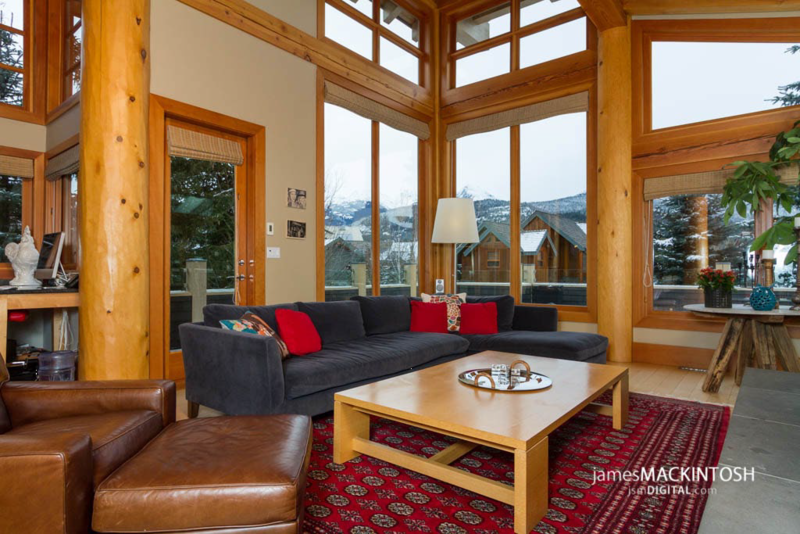 Today a four hundred-year-old cedar is the central feature in the most inspired home in Whistler, British Columbia. The timeless design of Akasha includes hewn coastal timber tipped with copper facing, fireplaces with log mantles, granite and river rock surfaces, and custom millwork. Every piece is an original. Nestled in the mountains, Akasha's innovative space flows as naturally as the nearby alpine streams, taking full advantage of natural light and views. The spa includes an indoor lap pool and steam shower. The spa is watched over by forest spirits carved into totems by First Nations artist Rick Harry. The pool is fed by a stream cascading over sculptured rock, and opens onto heated flagstone decks with a hot tub carved from stone, all with views of the valley below.